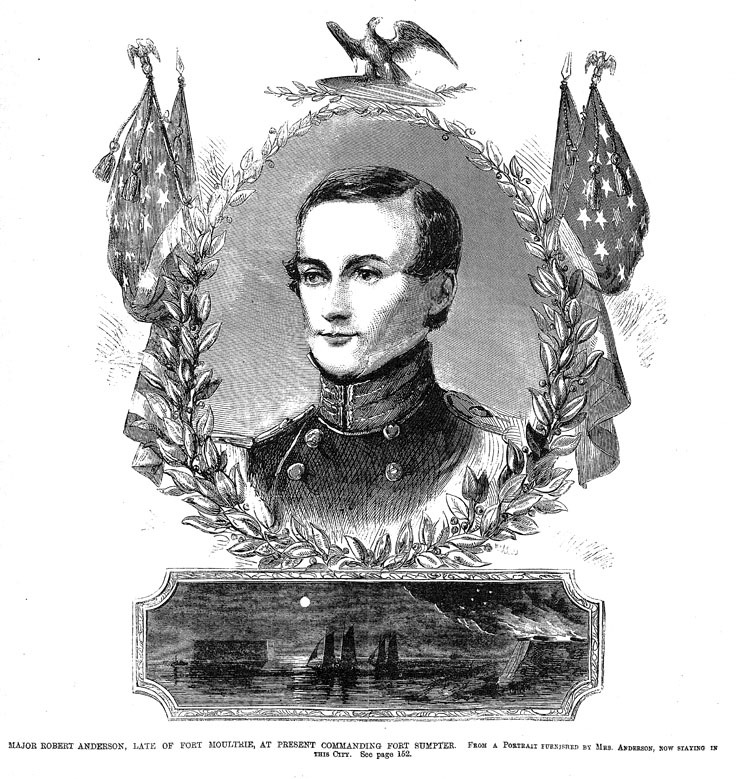 Caption: Major Robert Anderson, Late of Fort Moultrie, at Present Commanding Fort Sumpter [sic]. From a portrait furnished by Mrs. Anderson, now staying in this city. Source: Illustration from New York Illustrated News, January 12, 1861, page 145. Note: Another portrait of Anderson appeared in Harper's Weekly on the same date.